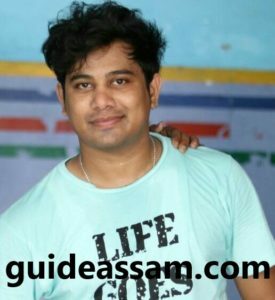 Neel Akash is Famush Singer and Playback Singer in Assamese music Industries. Neel Akash Born in Tinsukia, he graduated from Tinsukia College. he started working on something in the year 2008 after graduation. Neel Akash always dreams to become a singer. his struggling period he believes his dreams and never lose Confidence. He strongly believes “Dreams never define us…But the ambition to work towards the dream does…”, so he gave his all efforts in the year 2016 he released his first solo Album name "Bihuwan". Neel Akash Famush track "Sakuntala" from "Bihuwan (2016)" that has more than 4 lakh views on YouTube. He contributes in many viz. Maghor Bihu ahil , Tumar Sokur Kajol, Rangdhali, Maihang, Rangamoni and thetre also. After that, he has released many popular songs like matikolor Pani Khabi (Rap Bihu), Masole Goisilung, Suma Diana, Paharia Moi, Nodi Boi, Xoru Hoi Asila etc. Neel Akash has been performing numerous shows in Assam during the Bihu season. His first milestone is by receiving the best debute singer (Male) awarded by Ramdhenu channel in the year 2016 for his first ever solo album Bihuwan’s song “Sakuntala”.